The 7th Holy Week Encounter in Playa Prieta, in the province of Manabí (Ecuador). "Jesus is fascinating!" and "You are magnificent!" These were Fr. Henry’s opening words to the youth in our retreat in Canada, which had as its theme "Seeking the Face of Christ." The 1st Holy Week Encounter in Alcalá de Guadaíra, in the province of Seville (Spain). 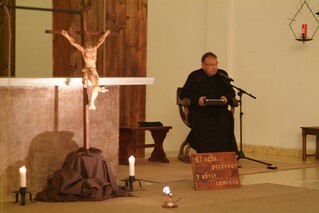 The 31st Holy Week Encounter in Spain has been held in Torrent, in the province of Valencia. 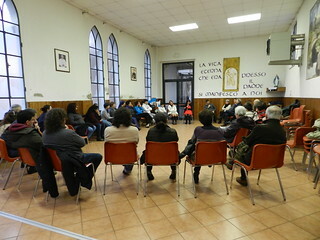 The 4th Holy Week Encounter in Lumezzane, in the province of Brescia (Italy). 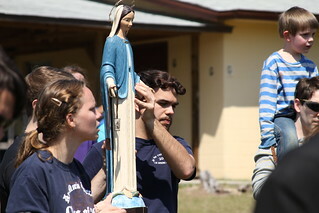 Holy Week Encounter in Orange Springs, Florida (United States). 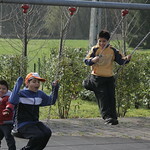 The 2º Holy Week Encounter in Brignano Gera d’Adda, in the province of Bérgamo (Italy). 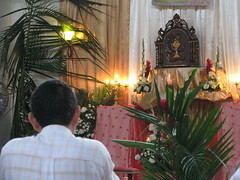 The 1st Holy Week Encounter in Guayaquil (Ecuador). 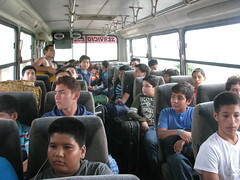 A group of 41 boys left from Our Lady of Loreto Parish, in Guayaquil (Ecuador), on Sunday, March 10th, to go to the campgrounds in Bucay, about 7 kilometers away and close to the mountains. 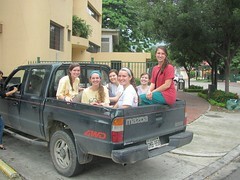 A group of 6 girls from two different Universities in the US spent their Spring Break visiting the Missions in Ecuador. 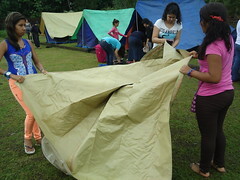 From March 10-17, the youth of Guayaquil (Ecuador) went camping. 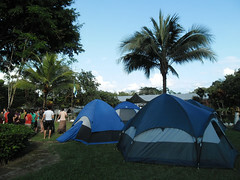 We set up camp in Huigra, a town that is a 2-hour bus ride from Guayaquil and close to the border with the neighboring province Chimborazo. 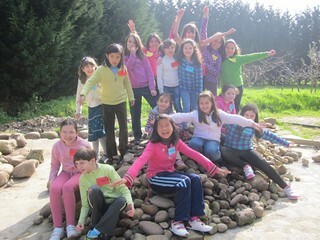 From March 5th-11th, the Home of the Mother, as in previous years, held a girls' summer camp in Manabi,Ecuador. 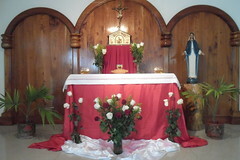 The Lay Members of the Home of the Mother usually get together once a month to share experiences and grow in the love of the Lord and Our Lady. 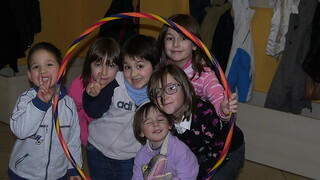 This past weekend, March 1-3, we were able to have a short get-together in Las Presillas, Cantabria (Spain). 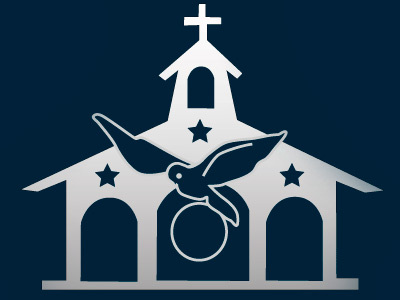 It couldn't be any other way...the Home of the Mother, which began at the tomb of St. Peter as a sign of our love and fidelity for the Pope, has lived the last few days intensely, waiting for the 266th successor of St. Peter. 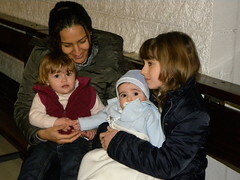 On Saturday March 2nd, we had a get-together in Zurita, with the theme: "the family of Nazareth". 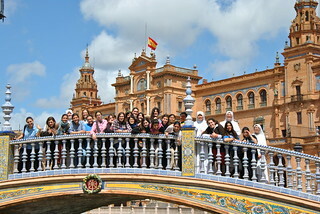 16 girls, from Santander, Vargas, and some other nearby towns, participated.